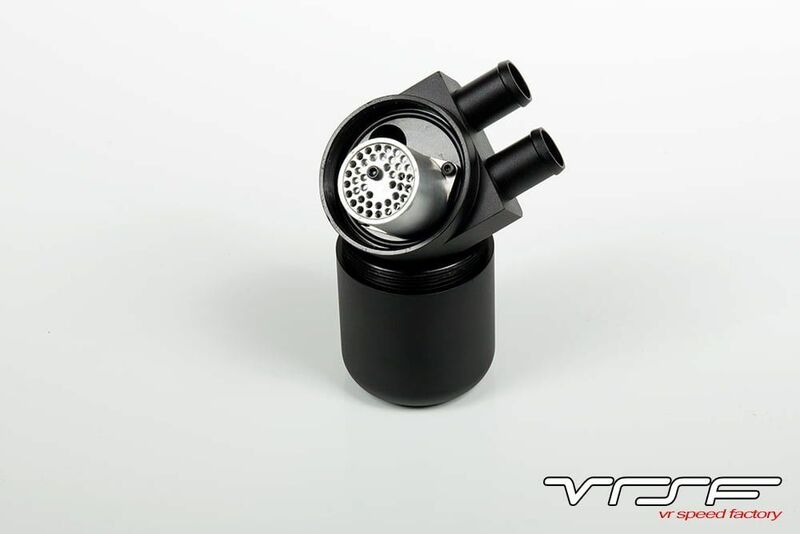 Replace your restrictive factory intake system with the VRSF Silicone Performance Intake Kit featuring high quality, one piece, steel wire reinforced silicone construction. Gains of up to 60whp can be realized by replacing the restrictive factory intake inlets with this bolt on kit. Our driver side OEM location inlet kit replaces the restrictive stock intake tract with our high flowing 2″ one piece intake which doesn’t require the relocation of any components in your engine bay. This kit will work with any intake that fits the stock inlets including and not limited to the VRSF DCI, Injen, aFe and OEM intake. 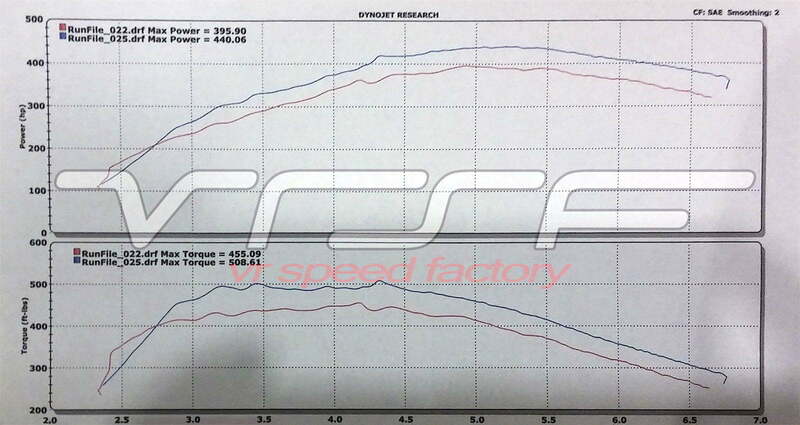 This kit works with both RHD and LHD 135i, 1M, 335i, 335is, 535i, Z4 as well as XI variants. This inlet kit will include everything you need to replace the restrictive OEM inlets. 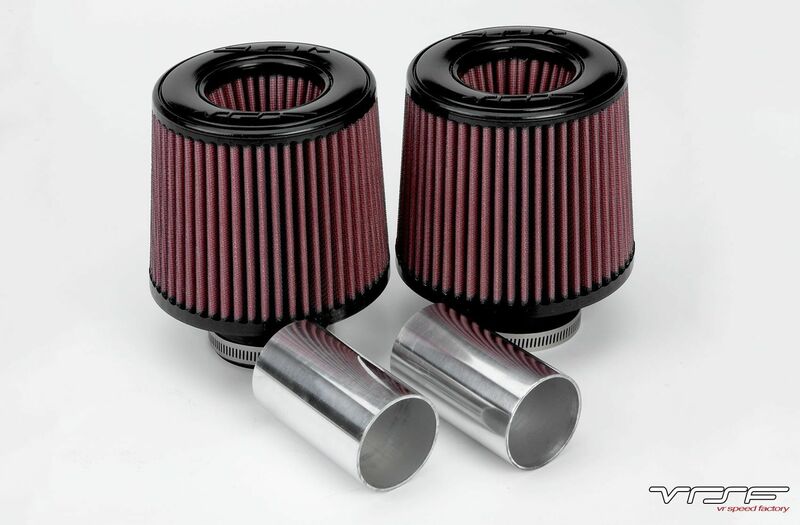 We also offer an option dual cone intake (DCI) kit which includes the highest quality filters available on the market. 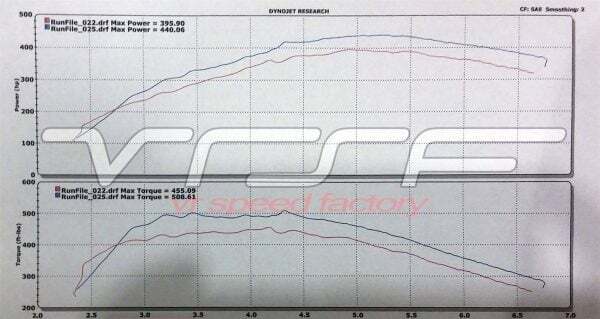 The S&B intake filters greatly increase flow in the mid to upper RPM range while introducing a more aggressive engine note. I have these OEM inlets and they rock, ran them with DCI and about to switch over back to the stock intake. So happy I can use the OEM airbox. People don’t understand that it keeps the temps down so well if you’re driving the car hard in the heat. I couldn’t imagine having no choice with relocated inlets. The flexibility of this product can’t be beat. Solid product VRSF! Loving the hp gain and sound! All your products on my 535i are truly great quality. Just got my inlets installed, loving the hp gain and sound! Loving the extra flow and power, pairs nicely with my VRSF Catless Downpipes and Exhaust, these inlets are no joke! No other company is putting out products as innovative as VRSF, not to mention their prices are unbeatable and they ship at no cost! If you are wanting to free up some more horsepower and/or let your turbos breathe better these are definitely the way to go. They are not super restrictive like the stock plastic inlets, and allow you to bolt up stock diverter valves and PCV connection if necessary. Pair these with the upgraded outlets and your turbos wont be having to work as hard as they were when they were sucking in air through a straw. OEM inlets are a must if you want your 335 to perform. Sound is awesome and there is a very noticable gain in performance. Inlets came quickly even though they were on backorder over the holidays. High-quality parts from a reputable manufacturer. Getting these put on next weekend and looking forward to the gains! 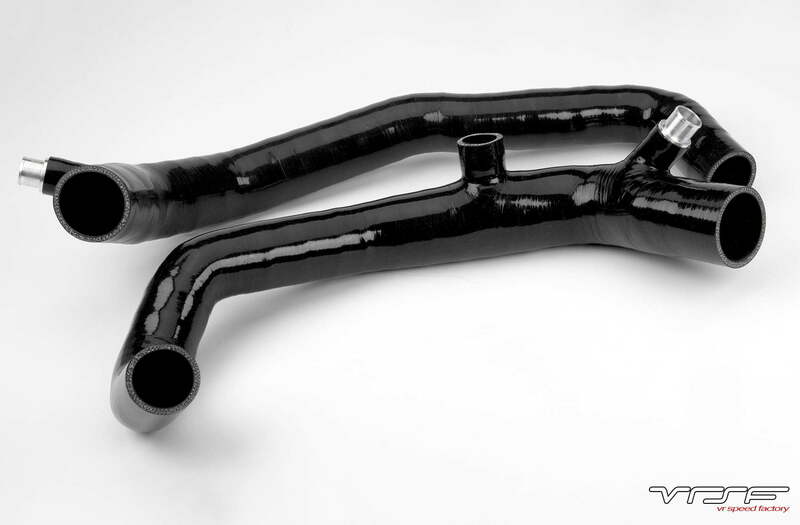 Ces tuyaux d’inlet sont vraiment un must pour apporter de l’air en quantité suffisante à vos turbos. Leur composition en rubber fait en sorte que l’air ne se réchauffe pas en s’y rendant. Donc un maximum d’air à la température la plus fraîche qui soit égale de bien meilleures performances. Pour terminer le son que ça donne est tout simplement génial, faut l’entendre pour comprendre. J’ai déjà un intercooler de VRSF qui est d’une qualité de finition incomparable, mais maintenant avec ces inlets, j’ai la confirmation qu’il ne se fait pas mieux pour ma bmw. Have purchased VRSF inlets/ outlets, chargepipe, DCI and am very happy with the quality of the products from them. Just about to order the 7” HD FMIC and diwpupes to compleat the package. Very happy with the purchases so far. Surprised how fast package came…thanks! This kind of service can determine whether someone “pulls the trigger” on a purchase or not. This inlets are the best choice you will definitely feel the change in performance compared to the stock inlets and the fit is perfect. Best place for this porduct . Purchased these inlets and received them the same week that I ordered them. Product went in smooth and car runs great with them in. These are a must for any N54 owner. Fitment was spot on, and I definitely feel a difference. For the price can’t be beat. Super fast shipping!!! makes engine look better and faster !!! I bought both the inlets and outlets and I couldn’t be happier. The performance improvement was great. The sound of the turbos is greatly improved also. This kit was the best choice for me, since I’m keeping my car looking as stock as possible. The width of these parts is greatly improved over stock. Perfect for when I upgrade my stock turbos. The construction of these parts are well made. The instal was lengthily but that’s due to the stock routing. Great product and price.